Need to renew your membership and pay annual dues? Use the link below. The Old Dominion Hops Cooperative was established as a Virginia State Corporation in 2014. The ODCH promotes the growth and development of the hops industry in the Mid-Atlantic and South Atlantic regions of the United States. ODHC members range from states including: Virginia, Maryland Delaware, North Carolina and Tennessee. In 2017, a number ODHC members were assisted in getting their crops into the market place and ODHC is working to expand that effort for for more growers in 2019. ODHC support and coordinates the results of research and promotional efforts of Universities and Cooperative Extension Services to offer “One Stop Source” and technical advice for its members. ODHC members directly aid the brewing industry and indirectly aid the hop growing industry by participating in festivals, conferences, and other events. ODHC provides bulk buying opportunities for its members offering discounted prices on annual supplies such as hop clips, clip bags, clip tools and mesh bags. ODHC members directly aid the brewing industry and indirectly aid the hop growing industry by participating in festivals, conferences, and other educational events. Andrew Cox from Greenmont Hopworks announces that they will offer hop processing services for the 2019 harvest season. Located approximately 15 miles southeast of Charlottesville in Keene, Virginia, services will include: picking, drying and baling. This facility that will be available to Co-op members in the near future. The facility will dry and process the hops in its 10,000-square-foot facility mainly from July through September. 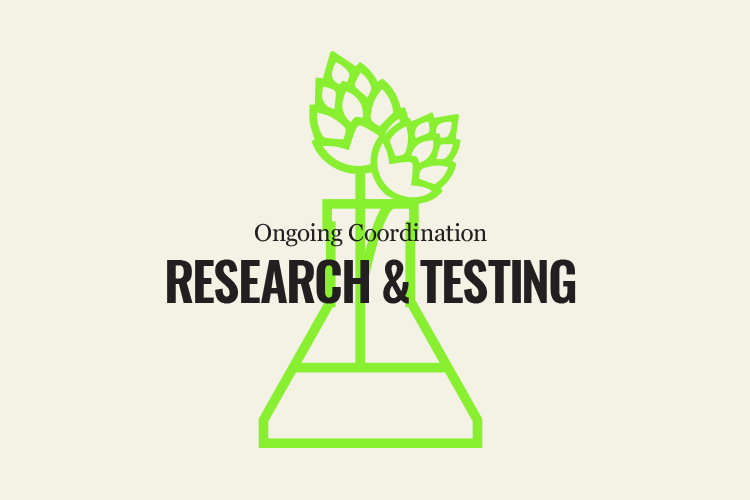 ODHC supports and coordinates the results of research and promotional efforts of Universities and Cooperative Extension Services to offer “One Stop Source” for technical advice.